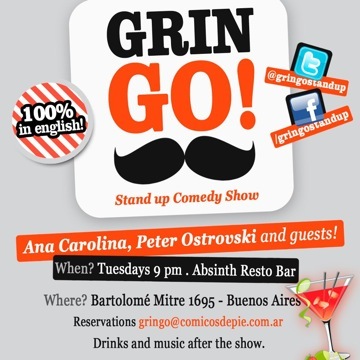 English standup comedy in Buenos Aires: GrinGo! Yes. 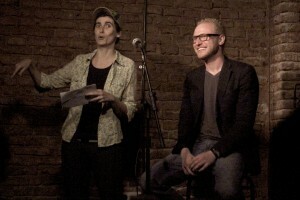 There is English standup in Buenos Aires. In the interest of transparency, I will say that I harbor aspirations in the field of standup comedy. I started a storytelling group, in part, because I wimped out in trying to start an English standup show — especially after a friend of mine said, “Expat standup? Sounds like a bad idea.” I had to concur, given the general propensity we have for thinking we’re much funnier and more fascinating than we actually are. But perhaps that jaded assessment was unfounded. 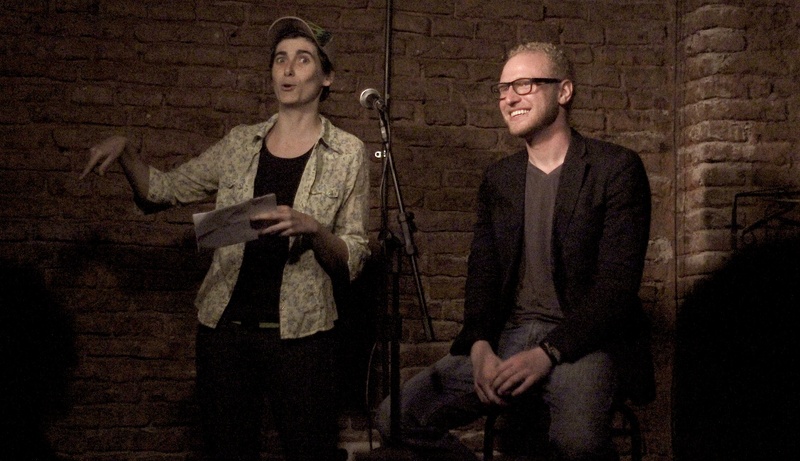 I was excited to hear about GrinGo!, a new (now just a month old) weekly English-language comedy event currently hosted on Tuesdays by New York comic Peter Ostrovski and Argentine standup Ana Carolina. I showed up for the show last week, then again this week, and now I’m hooked. Buenos Aires has a big comedy scene in Spanish. There are improv and standup shows every night of the week down Corrientes in the theater district. But until this time last month, there was no venue or event that showcased comedy in English. And to judge by the size of the crowds the event is drawing, it’s something many English speakers have been missing. Grosvald knew of Ana Carolina’s prior comedy career in New York and put the two together to lead the shows which have just moved to Absinth Resto Bar in Barrio Congreso. Things got moving quickly, and there’s no dearth of talented people jumping up to claim their five minutes as openers. Depending on how many of them there are on any given night, Ostrovski and Carolina might host some games in which one or the other takes turns asking and answering questions. In any case, both of them know how to put on a show and that seems to be attracting people week after week to check out the widely divergent comedy stylings on offer. Ostrovski is a comedian in the tradition of observational humor. He throws punchy lines out and his rhythm is impeccable. For someone who’s just 26, it’s pretty impressive what he’s doing and what he’s started here. Ana has an intricate system of callbacks and a vulnerable style onstage that is too endearingly sweet to ignore and mixes in a good deal of wordplay with personal anecdotes. Another regular in the lineup is local comedian Ezequiel Campa who Ostrovski describes as “a pretty big standup here,” who was also brought on board by Grosvald and who, each time I’ve seen him, has performed completely different high energy sets in a bewildered and hilarious tone. And both times, I’ve seen returning champion and LA comic Harry Redlich, whose deadpan delivery gets me, though his attempts to work in a political vein sadly fell on ignorant ears last Tuesday. Ostrovski is slated to head back to the States in early December to start a career as a lawyer while he maintains the show, Beautiful Comedy, that he runs in New York. All I can say is that I hope they keep it up. Ana Carolina says of the show’s future, “I love doing this show and it has every potential to grow so we shall continue honoring Peter’s legacy.” Be it legacy or a home for standup in Buenos Aires that Ostrovski can return to at a later date, there are plenty of strong comics who can keep the home-fires burning. The future frequency of the event is still in question, but it seems to be unanimous among the participants that the show will go on. Check out GrinGo! on Twitter or Facebook to stay in the loop about what’s next.